Goldie Vance Vol. 1, 2, and 3 Review: A Darn Good Detective! St. Pascal, Florida, mid 1960s. 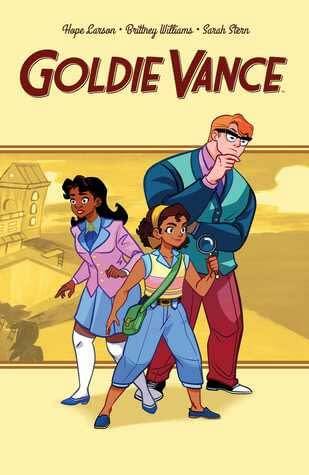 Goldie Vance is a plucky 16-year-old who doubles as a car valet and a junior detective at the Crossed Palms Resort, which her father manages. With the help of her friends, she can crack any case. Her insatiable curiosity sometimes leads her to trouble, which isn’t good business for her father at times. She’s helped Russian scientists, astronauts, and everyone else in between. Honestly, I feel like there’s nothing she can’t do! The stories in all three volumes are fun, engaging, and perfectly suitable for readers of all ages. But the real draws are the diverse and dynamic characters! 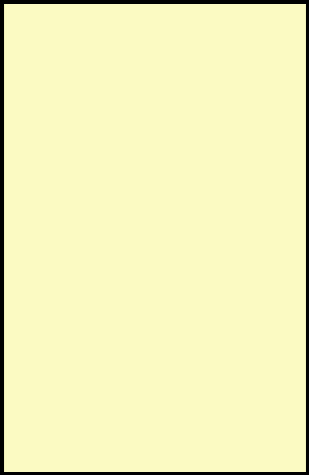 As I said, Goldie is a plucky teen. She’s full of joy and youthful optimism. She reminds me of Nancy Drew, but much more vivacious. As a character she grows exceptionally well through the series — from learning how to not steal the spotlight from her friends, to finding her first love in Diane. Diane is just as every bit cool and smart at her girlfriend, and the two make for an exceptional team. Goldie’s best friend, Cheryl, is a smart, fearless young lady who has dreams of working for NASA. She knows everything about space and what it takes to be an astronaut (she’s even the correct height to be one! ), and she has no problem aiding her friend on some pretty crazy adventures. At one point, Cheryl even realizes that Goldie would in fact do anything for her, and it dawns on her that sometimes our friends can make mistakes. Walter, the actual detective Goldie works with, is shy, but also bright and thoughtful. He gets rather tongue-tied around women, but if you need someone to crack a case, well… he is an actual detective after all! Hope Larson has written some incredible characters here. The situations she writes them into, while sometimes a little wacky, are still realistic. Young readers can learn how to deal with conflicts with their friends through these pages, and each character is diverse and unique, which also helps readers broaden their horizons. In volumes one and two Brittney Williams does some exceptional pencils that remind me of Darwyn Cooke‘s work. Each character is beautifully drawn, and Sarah Stern‘s colors really bring them to life. This artistic duo is dynamic, and even the settings and background characters are as engaging as the main cast. By volume three, writer Jackie Bell joins the fold, as well as artist Noah Hayes. While Hayes’s art style is much more animated than the previous two volumes, it doesn’t take anything away. Bell and Hayes make a wonderful addition to this amazing book. Letterer Jim Campbell does exceptional work with these characters, giving everyone their own tone and voice. This is indeed one of the best all-ages books I’ve read in a while, so if you’re on the fence about this book, I urge you to give it a shot!